Thank you for visiting another one of Adam Rue Auto Sales's online listings! 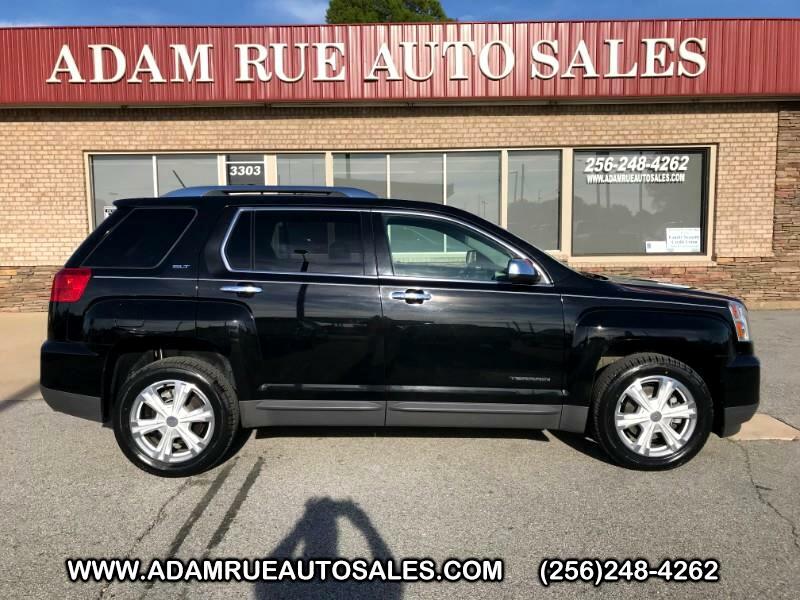 Please continue for more information on this 2016 GMC Terrain SLT with 116,702mi. This GMC Terrain offers all the comforts of a well-optioned sedan with the utility you demand from an SUV. You can finally stop searching... You've found the one you've been looking for. Just what you've been looking for. With quality in mind, this vehicle is the perfect addition to take home. More information about the 2016 GMC Terrain: Starting about $26,500, the 2016 GMC Terrain is one of the most affordable crossover vehicles in its class -- a class that also includes the Honda CR-V and Toyota RAV4. The interior features a dual-cockpit design with ice-blue ambient lighting and sophisticated, classy appearance touches that make it look much more expensive than it is. Strengths of this model include available all-wheel drive, sharp styling inside and out, and Powerful engine selections Thank you for considering Adam Rue Auto Sales! We are proud you are here. Our dealership is focused on making your buying experience as pleasurable as possible. We understand how difficult it can be finding the perfect vehicle. Our staff has been in this business many years and are trained to be professional and courteous while assisting you. After all, you are the reason we are here. We want to be a little different than what you will find down the street. We stock quality vehicles and look forward to treating you like family.